Water and sunblock will be provided during the registration and indemnity paperwork formalities. This tour is not suitable for children under 12 years old and weigh less than 45 kg or more than 115 kg or 255 pounds. This is a fun, exciting and informative tour where we will take in a variety of interesting scenes. There will be the opportunity to spot some wildlife and there are some great photo opportunities. We will be using the latest in self balancing technology “The Ninebot” which is the next generation Segway and are so EASY to ride anyone can do it. 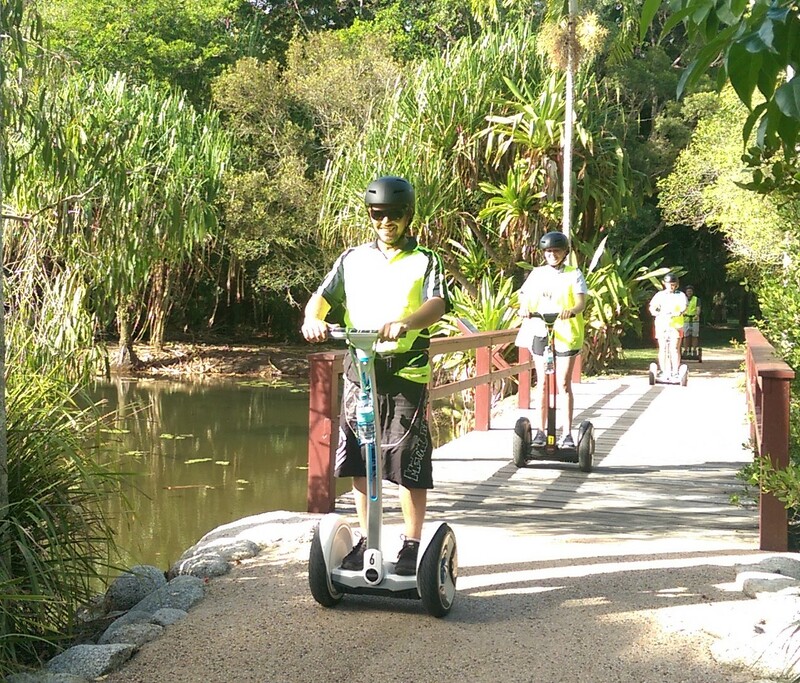 We will begin the tour on the Northern end of the Cairns Esplanade. There will be a 15 minute training period just to ensure everyone is comfortable and in control before we depart. During the training period we will enjoy the sweeping views from the Cairns foreshore over to Trinity Inlet to the Aboriginal community of Yarabah. We will then continue north following the cycle tracks and cross the bridge to Salt Water Creek, we will follow the creek which is lined with mangroves that provide breeding grounds for prawns and mud crabs. Keep an eye out for saltwater crocodiles and barramundi. 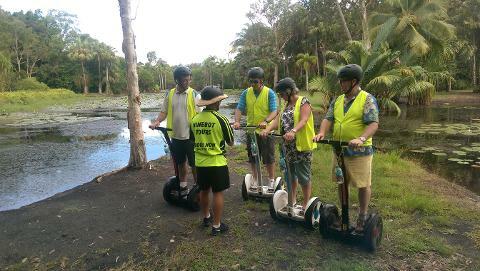 We will arrive at the beautiful Cairns Botanical Gardens and cross into the Centenary Lakes which is a unique wetlands area home to many species of flora and fauna. The Freshwater lake is a natural freshwater swamp, which is decorated by a patchwork of water-lilies that provide shelter for a variety of fish, turtles and frogs. The lake is also home to many bird species, depending on the season visitors may see magpie geese, black ducks, black- necked storks and cormorants. 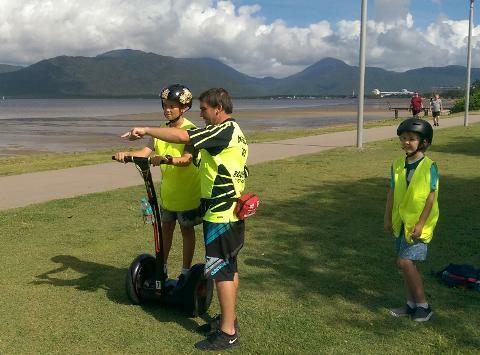 We will then return to our starting point on the Cairns Esplanade, the full length or the tour is about 14km and will take approximately 90 minutes.